Shoults, who will be swimming for Stanford University next fall, was also the FINA World Junior Champion in the 400 free last summer in Singapore. In the same competition Shoults went 1-2 with Rooney in the 200 free, where Rooney broke the junior world record in the event. Shoults’ time today would have been good for 9th at this year’s NCAA Championships, while Rooney’s would have been good for 13th. Shoults’ performance today is the third time a high school senior has broken the 1:34.00 barrier this year. Shoults and Rooney posted the first and second-fastest times in history today, and Michael Jensen posted the now 4th-fastest 200 freestyle time in high school swimming history at the 2016 Pennsylvania PIAA ‘AAA’ Championships. Tom Shields, who established the record in 2009, went on to swim for Cal Berkley where he was a serial PAC 10 and NCAA champion in the 100 fly, 200 fly, 200 free, and 100 back. Since Cal Shields has represented the USA in the World Championships, World Cup, Pan Pacifics Championships, and Duel in the Pool. 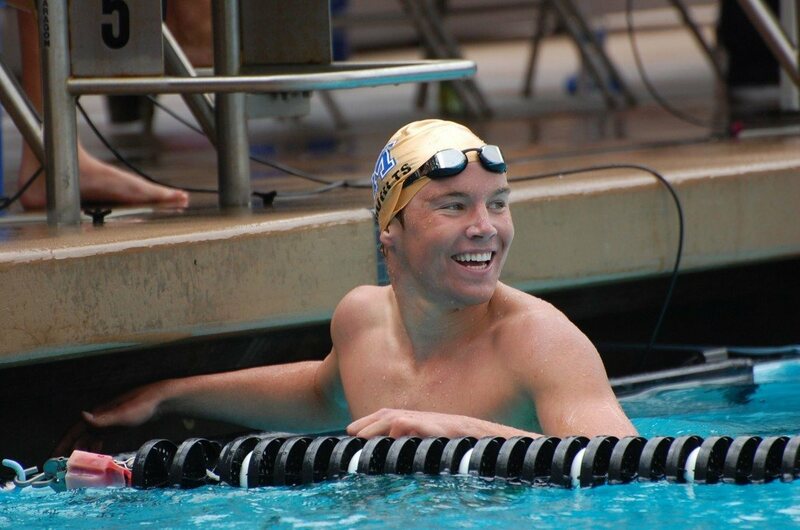 We do not know whether Shoults was rested at all for the CIF Southern Championships, though most likely he and Rooney are approaching these competitions the same, and focusing on the Olympic Trials taking place next month in Omaha. Shoults, who swam a 1:48.10 to lead off the victorious 800 free relay at last year’s FINA World Junior Chamionships in Singapore, will be a contender for a relay spot, where he only has to place in the top 6 of the 200 free in Omaha to punch his ticket to Rio. 2016 marks the first year that California has added a state championship for swimming & diving. Traditionally these Sectional Championships have been considered the most important high school meets of the year in California, and many still place more emphasis on them than they do the final state competition, which will take place next weekend in Clovis, CA.